4 Celli. 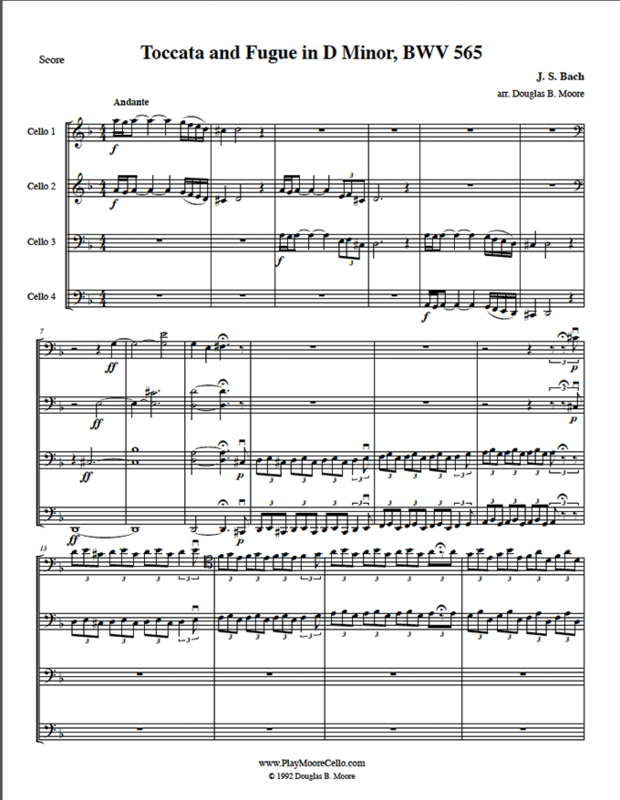 The famous Toccata and Fugue, this arrangement was inspired by the Stokowski arrangement for orchestra. In this revised arrangement, the top two parts are difficult and the lower two intermediate. Especially sonorous in performance by a cello orchestra, this arrangement was recorded by the Saito Cello Ensemble of Japan. Score and 4 parts.